Chromaviso has performed a user survey in collaboation with 30 Scandinavian hospitals. 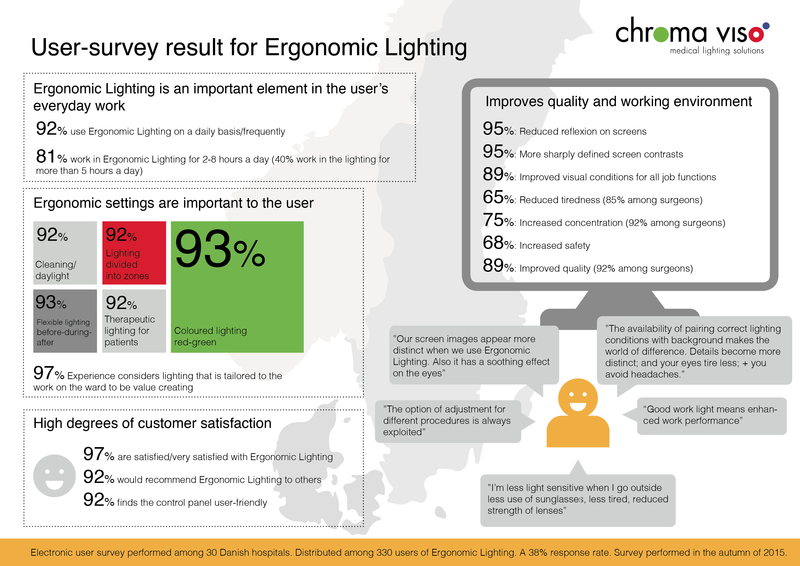 Distributed among 330 users of Ergonomic Lighting who was asked about their experience with Ergonomic Lighting. 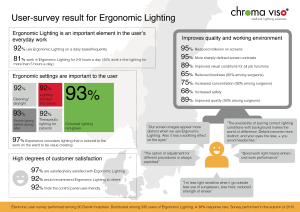 Results of the user survey document that the lighting concept creates great value for the users and has a significant positive impact with regard to promoting a good working environment and safety. 97 % user satisfaction. Get an overview of the results of the user survey here.